This 22-gauge, powder-coated steel locker is designed to snap together in minutes. Featuring 1 fixed shelf and one removable shelf per opening, this school locker will give students plenty of room to store supplies. Each compartment in this metal locker has an interior coat rod to hang clothing. This locker also features a two-point, concealed lock mechanism to keep contents safe. This double tier locker is also great to store items at the gym. 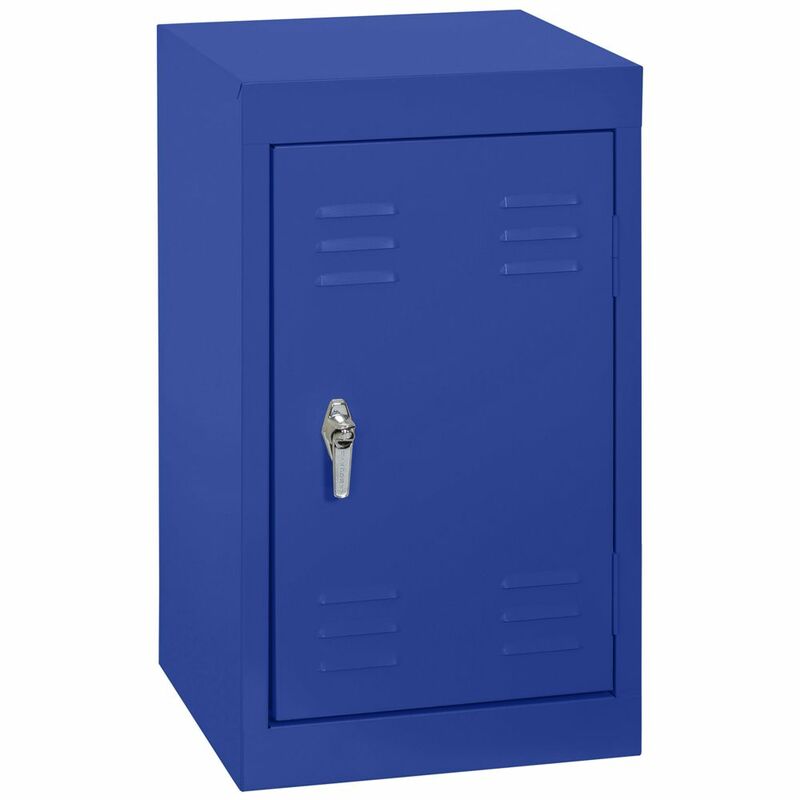 15 Inch L x 15 Inch D x 24 Inch H Single Tier Welded Steel Locker in Ocean These designer steel lockers are built to last and feature cool colours that kids and teens will love. Great for storing school supplies, books, back packs, clothes, shoes and much more. All lockers are Greenguard Certified.